Tennessee has the unfortunate distinction of having the worst violent crime rate in the nation. The violent crime rate in Memphis was the nation’s fifth worst, while Nashville’s was 18th worst overall. In 2015, criminals in Tennessee committed over 40,400 violent crimes. Of those crimes there were 406 murders, 1,966 rapes, 7,474 robberies and29,844 aggravated assaults reported to police. 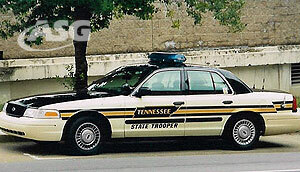 Many more crimes in Tennessee have gone unreported and despite the valiant efforts of Tennessee law enforcement, the number of crimes taking place seems to grow every year. Having a population of over six million and spread out over ninety counties, with Shelby being the largest at just under one million people, there are many places for information about someone’s criminal activity to hide. This makes the choice to obtain a Tennessee background check an easy one. With Tennessee being bordered by eight different states and shaped the way it is, many people from neighboring states cross over the borders on a daily basis, sometimes bring trouble with them.These statistics are shocking but they also serve as a warning. The simple truth is that you need to check people out and a complete Tennessee background check is the best way to get some peace of mind. The truth is out there waiting to be found.A.S.G. can find it for you, quickly, easily and affordably! No matter what your reasons for needing a background check, you can never tell who you are dealing with without checking things out for yourself. Using your personal judgment can never be as accurate as having real background information. Tennessee is a great place full of wonderful people, but the reality is that there are many bad people mixed among the good. The key to staying safe is to learn the truth before trouble arises.Call now to speak with a Private Investigator about our Background Check services at 855-678-7200. You should know that the term “Tennessee background check” has many different meanings to different people, particularly to those who are selling background checks on the internet. What the private investigators at A.S.G. consider to be a true “Tennessee background investigation” is almost always far different from what the internet based “super search” websites deliver. Each Tennessee background check is different and our licensed private investigators work diligently custom tailor investigations that gives you the information you need and skip on the fluff. Obviously, Tennessee criminal activity is a major concern to all of our clients. It is also important that you understand that locating Tennessee criminal records within a background check must be done at a local level. If some company is offering you this type of search to you, they have created their own “national” criminal database which is not reliable, accurate or complete and is ridiculous at best. Each State has different ways of recording criminal record information. Some have state-wide criminal record databases, but most do not. Each court, at the city or county level, also has its own unique way of recording criminal records and allowing the public access to them.